This is a first annual contest and the promoters Ric Gilbert and Ben Lobenstien did a superb job taking good car of us cook teams - dang, this is hard work, especially for a two person team. But when a competitor-turn-promotor puts an event together, you can bet your sauce secrets that it's a *must attend* event. Anyway this event was covered by local press, the Sacramento Bee and we landed a little thumbnail about half way down the article. Click the thumbnail below for the full sized version. The picture features our cook site setup. 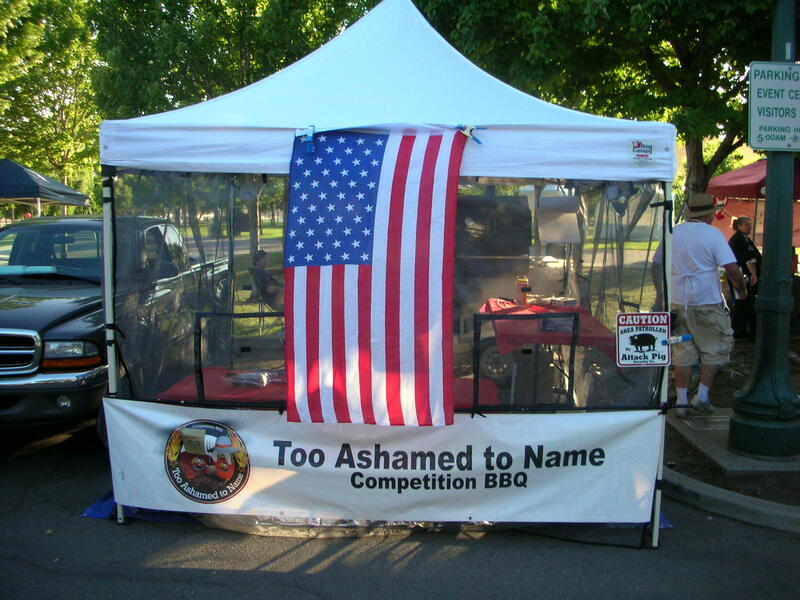 Our canopy with flag (hey, it's 4th of July after all), and our truck on the left. 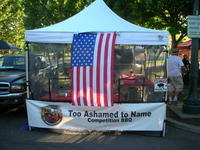 Our cooker trailer is directly behind the canopy, and say, who's that handsome guy on the right?.